PIERRE, S.D. 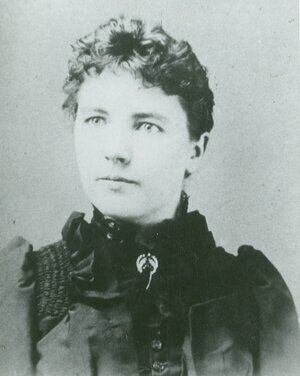 (AP) — Laura Ingalls Wilder penned one of the most beloved children's series of the 20th century, but her forthcoming autobiography will show devoted "Little House on the Prairie" fans a more realistic, grittier view of frontier living. "Pioneer Girl: The Annotated Autobiography" — Wilder's unedited draft that was written for an adult audience and eventually served as the foundation for the popular series — is slated to be released by the South Dakota State Historical Society Press nationwide this fall. The not-safe-for-children tales include stark scenes of domestic abuse, love triangles gone awry and a man who lit himself on fire while drunk off whiskey. Wilder and her daughter Rose Wilder Lane, herself a well-known author, tried and failed to get an edited version of the autobiography published throughout the early 1930s. The original rough draft has been preserved at the Laura Ingalls Wilder Historic Home and Museum in Mansfield, Missouri, for decades but hadn't been published. The children's series never presented a romanticized version of life on the prairie — in "Little House in the Big Woods," Laura and her sister Mary gleefully help dissect the family pig before bouncing its inflated bladder back and forth in the yard. But the series also left out or fictionalized scenes that Wilder deemed unsuitable for kids, including much of the time the family spent in Burr Oak, Iowa, and Walnut Grove, Minnesota, according to Pamela Smith Hill, a Wilder biographer and the lead editor on the autobiography. "So you can read 'Pioneer Girl' as nonfiction rather than fiction and get a better feeling of how the historical Ingalls family really lived, what their relationships were and how they experienced the American West," she said. Wilder details a scene from her childhood in Burr Oak, in which a neighbor of the Ingalls' pours kerosene throughout his bedroom, sets it on fire and proceeds to drunkenly drag his wife around by her hair before Wilder's father — Pa in the children's books — intervenes. Scenes like that make Wilder's memoir sound like it's filled with scandal and mature themes, "which isn't exactly true either," according to Amy Lauters, an associate professor of mass media at Minnesota State University-Mankato. "It's just that that first version was blunt, it was honest. It was full of the everyday sorts of things that we don't care to think about when we think about history," said Lauters, who has read the original manuscript and also is writing a book on Rose Wilder Lane. "And it's certainly not the fantasized version we saw on 'Little House on the Prairie' the television show." Wilder's story will likely do well in South Dakota, since the author moved to De Smet in the late 1870s with her family, eventually meeting her future husband there. For fans, the autobiography is chance to see from where Wilder drew her inspiration, said Sandra Hume, a Wilder aficionado who published an internationally distributed newsletter for 10 years and now helps manage Laurapalooza, a conference dedicated to all things Wilder. "I am very excited to see people have access to this, because her life story has been pretty muddled because people get mixed up with the TV show and it's nice to see an interest in people seeing basically what is the primary source ..." she said. The autobiography preserves Wilder's original rough draft — misspellings, idiosyncrasies and all — but adds extensive annotations. 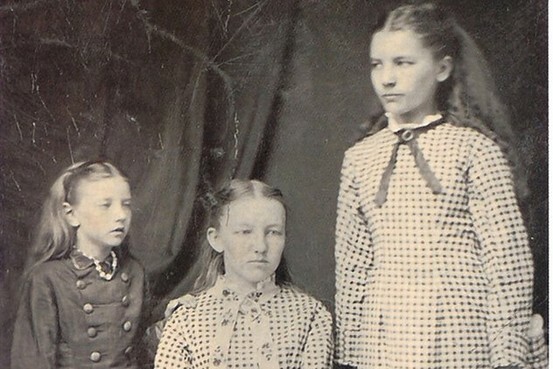 "Little House" lovers can learn about the three girls that Wilder combined to create the Nellie Olson character, or how extensive the damage was in Minnesota during the grasshopper plague of the 1870s, which forced Pa in "On the Banks of Plum Creek" to set out in search of work. "In some ways, I came to think of the annotations in 'Pioneer Girl' as almost an encyclopedia about Laura Ingalls Wilder's life and work," Hill said. If its published I'll read it. IF not I'll hear about those things on the news. Nothing has REALLY changed. There are crazy people everywhere. Glad Laura thought it interesting enough to write about it. Posted from Laura Ingalls Wilder Historic Home and Museum Facebook page. I pre-ordered this earlier this summer. I figured that since it came out in November - and my birthday is in November - I could talk my mother into paying for it for my birthday (I hate paying that much for any book) and it worked! But I know some of the stories already, too. I will be curious to see how this is in the end. I never actually read anything from the autobiography before. So this will be very interesting for me. Yes! This month September the book will be available in The Netherlands ! Can't wait till it comes. Although I read many books about Laura and know almost all her past, I'm still curious to read this one. I'm anxious to read about the Burr Oak years, and I hope she tells what she knew of the Bloody Benders in Kansas. Little House on the Prairie definitely had a dark underbelly to it. "We just unloaded a whole lot of books! 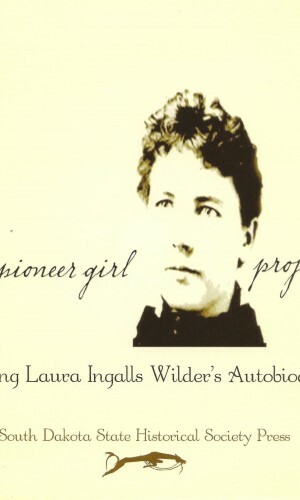 Laura Ingalls Wilder Pioneer Girl: The Annotated Autobiography has arrived and it is a beautiful hardcover book. Help preserve Laura's legacy in De Smet South Dakota-order your copy today!" "IT'S HERE! The Book Store in Mansfield, MO just received the shipment of Pioneer Girl TODAY!! We all know that you've been waiting.... we will get them to you as quickly as we can, have patience with our mail order girl-- she's a sweetheart, soon they will all be arriving in your post!" Mine arrived TODAY!!! it came from one of those boxes in the picture from De Smet. I'm so happy. It is a BIG BOOK, wow, I've got lots of reading to do. I hope to read the LH books as I read this one to see how they compare. Ugh, more reading, but it's my favourite subject, yahoo. Does anyone know what is going on with the Amazon orders? I ordered it back in mid-July. I knew it wasn't going to be available. I knew this. Then it is said that it will begin to be available at the end of November. That date switched to December 12th. Now it says December 30th. So I looked on Barnes & Noble's site the other day and it still said December 12th. And when I looked again today (on B&N) it said that it was available to be shipped now. Yet. when I went back to Amazon, it said December 30th. I am getting very impatient with this nonsense now. I ordered from there because it would be cheaper. And I am a long-time customer of theirs. I have never seen something like this happen with them before. And I can't find any way to contact them to see what is going on. I was really hoping that I was going to have it before Christmas. I thought it would be a good book to read in December. This is a disappointment. If I'd known this absurdity was going to happen, I just would've paid full price and gone into a Barnes & Noble store and bought it. I am considering doing it if I don't find out something within the next week. So, does anyone know what has happened? Is there any sort of gossip, or other passing complaints people may have made online, that might give me some insight into this? I can't find any answers anywhere. Thank you if you know anything. I have no answers to your questions. The photos of the books above are in Mansfield, MO at Laura Ingalls Wilder's museum, to be shipped out. Wherever you ordered your book, you'll have to send your inquiries to them. Amazon just sent me a note saying they will not be shipping until January. Might have to cancel that one. January!?!? Wow! I haven't checked my email for a few days (well, the one that I use with my Amazon account). They probably sent me one, too. I have checked to see if there would ever be a mention of it but I never received anything. Did they say why this has occurred? Well, I don't know what I will do now. Part of me just wants to wait it out. But then I kind of just feel like cancelling it and ordering it from Barnes & Noble. That way I can just go into the store and pick it up. This is a big disappointment. Yes, it would be here eventually, but I really would've liked to have received it by now. Good thing it wasn't a Christmas present for anyone, huh?! I just wish I knew the exact reason for why this has happened with Amazon. If you order from one of the home sites, they get the profits from the book. If you order from Amazon, Walmart etc, then they get the profits. I ordered from De Smet just for that very reason. Lots of people who pre-ordered from Amazon and other places, are now finding that they are on back order. Well, I JUST checked my email. It appears that they sent me an email from Amazon 2 days ago. Now, apparently, the shipping estimate is earlier than expected. It has now been pushed forward to between December 11th and 13th. I will give them this one more chance. And then if I don't get it by then, I will cancel and order it from the other place. It still says that the order is on backorder, though. My fingers are crossed. I mainly ordered from Amazon because I was also ordering something for my nephew's birthday at the same time, which is in July. By ordering this book (and despite the fact that I wasn't going to get it until months later), I was going to receive free shipping. And that is what prompted me to order it from there at that time. I wanted free shipping for my nephew's present. But we will see next week what is going to happen. The first printing of Pioneer Girl are running out but you can still get a copy from the press that published the book. You can still also order from the homesites where the profits from the book goes directly back into the museums there. Cool book! Didn't know a book came out!! That is good that there is so much demand for the book. It just shows that there are more people out there that DO have an interest in her and her writing. I ended up getting my book when Amazon said I would (after they changed the date). I received it on December 13th. I ended up only paying about $22 for it. I haven't read it yet. I skimmed through a little bit of it. There are some aspects of the "set up" of the book that I am not crazy about. But maybe my opinion will change once I actually read it. I have had my copy for a looong time but have only read the first chapter. I will start over again soon and read the whole thing. Let us know how it is! I am waiting until the hype dies down....maybe by 2016! That article is really interesting. I am just so glad then that I ordered as early as I did. Maybe I would still been waiting for it if I had even ordered a week later. Who knows? Part of me wishes Laura was here to show her that people ARE interested in reading her autobiography. I would love to hear her reaction to it.